A fresh exterior paint job can extend your home’s life while improving its curb appeal. It’s no wonder that more than 30 area homeowners participated in our “Knowing Your Home: Exterior Prep & Paint” workshop on June 14. Sherwin-Williams Lakewood was the site of our “Exterior Prep & Paint” workshop. 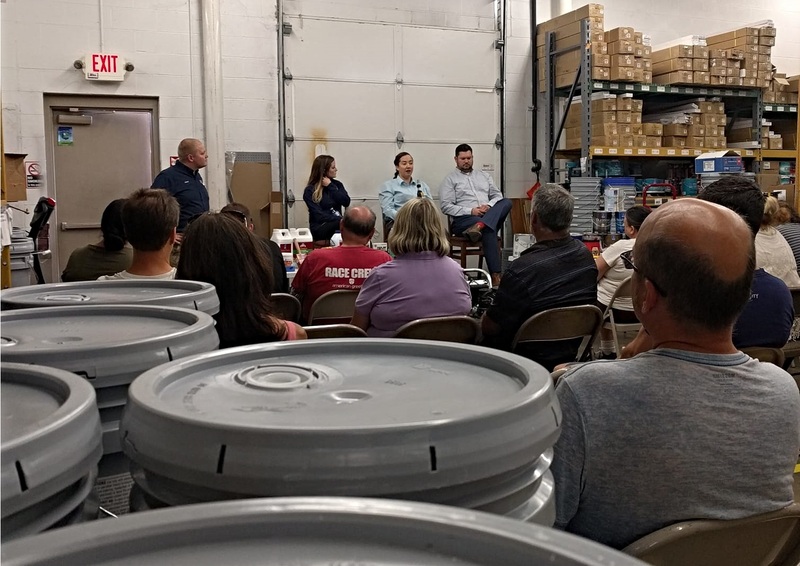 Hosted by our friends at Sherwin-Williams Lakewood, this free workshop featured an expert presentation regarding the proper techniques and processes necessary to paint the exterior of your home. Our knowledgeable presenters covered everything from safety practices to tool and product recommendations to cleanup tips. When preparing to paint a wooden surface on your home, start by scraping off peeling paint while making sure to collect loose paint chips. Once you’re done scraping, give your home a good wash and make sure the wood is completely dry before proceeding. If you encounter bare spots, it’s recommended to make use of an oil-based primer in order to prevent the paint from soaking into the surface. It’s worth noting that dark and bold paint colors are more susceptible to fading over time. Still, you don’t need to shy away from your desire to utilize these vibrant colors. Paint technologies have evolved to the point where fade-resistant paint and other products are available to help your paint job last longer than previously possible. There are several options at your disposal for applying paint to the exterior of your home. Spraying represents one option, though it often takes a while to get a solid handle on this method. Conversely, using a brush or roller can be a slower process but affords you more control. No matter which option you choose, it’s important to remember that you cannot apply a stain over a paint. This summer is proving to be a doozy, and it’s important that you avoid working on your paint job in the direct sun if possible. If your siding or painting surface is too hot to touch, then it’s too hot to paint. When prepping vinyl siding, wash with a synthetic bristle brush to remove dirt if your siding has been painted previously. It’s recommended to do your homework and ensure you’re painting your siding with a vinyl-safe color, as certain colorants in paint have the potential to warp your siding. The same recommendation applies to shutters and other plastic items incorporated into your exterior paint job.